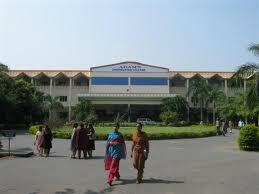 Adam’s Engineering College is a college in Sitarampatnam, a suburb of Paloncha, Khammam District, in India. It was founded in 1998. The Chairman of the college is Mr. Potla Nageswar Rao. The college offers programs at undergraduate level. It is affiliated to Jawaharlal Nehru Technological University. No Placement Details Found for this College ! Hostel:No Hostels Details Found for this College !